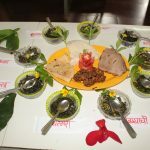 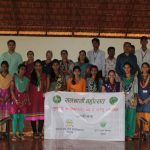 Under the sustainability-driven local food system project, Srushtidnyan organized Wild Vegetable Festival at A. S. P. College, Devrukh on 30th August, 2018. 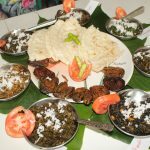 More than 30 participants brought around 70 to 80 varieties of food dishes made up of wild vegetables. 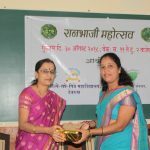 Ms. Vrushali Dev and Ms. Swarada Ganu were the Chief Guests at this Wild Vegetable Festival. 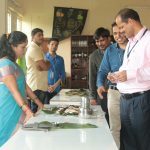 The participants learned about the varieties of wild vegetables found in their surroundings. 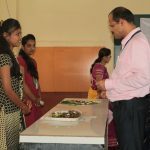 The Judges explained the importance of Wild Vegetables grow specifically in Monsoon and also guided on using them in our day to day diet. 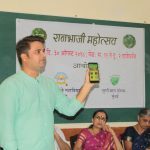 At the end of this festival we made an announcement about soon launching a Wild Vegetable App for Android mobile system which will help everyone to identify and get information about the different types of wild vegetables and their recipes. 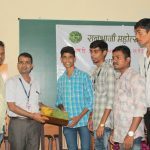 Congratulations to the A. S. P. College, the principal, teachers, students, parents and all the Climate Ambassadors for making this festival successful.